Michelle initially moved to College Station to attend Texas A&M in 1990. As a legacy at the university, she quickly immersed herself in our amazing Aggie culture – active in athletics, student programs, and student government. Since graduation Michelle has worked as a Coach (US Swimming), Trainer, and Fitness Instructor. She has engaged herself heavily in our community as a Sustaining member of the Junior League of Bryan-College Station, Inc. and a previous member of the Junior League of Jackson, MS. In her Active years with the League Michelle served on Executive Committee, multiple Board of Directors and chaired community projects. Her family is very active with their church. Michelle loves to help people and believes in the power of relationships; becoming a Realtor has been a great way to do more of this! Michelle met her husband Nathan (USMC Retired, TAMU class of 1990, and local Inspector) at Texas A&M and they married in 1998. 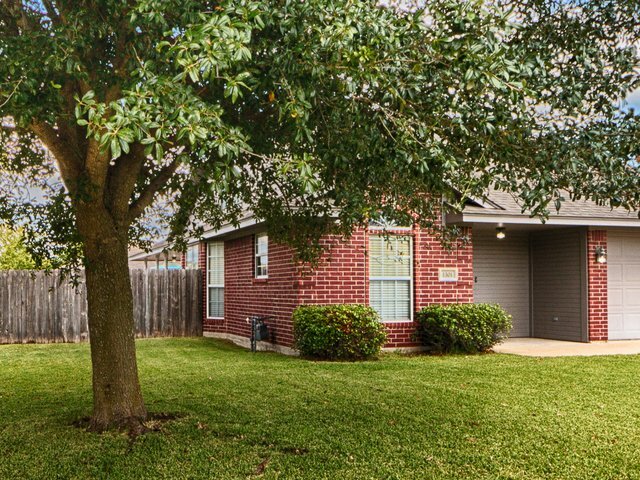 As a couple, the Peacocks made their home here in Aggieland when they purchased their first home shortly after they married. In 2001 they had to move away, they returned in 2003, had to leave again in 2005 and returned (for the final time) in 2009. It seems Aggieland is meant to be their home in spite of all the times they have tried to branch out. The Peacocks have three very active children. In their spare time you can find them shuttling their kids’ to sporting events, concerts or countless practices and rehearsals. They also enjoy traveling to the hill country, the coast or to visit family and friends spread out all over the country. Michelle also enjoys running in as many 5Ks as time will allow as well as the occasional 10K or half marathon. Michelle loves our community and the university it is built around, and is thrilled to join the TM5 team. She is excited to help you buy or sell (but hopefully not leave Aggieland) your next home! · Sustainer Junior League of Bryan-College Station, Inc.